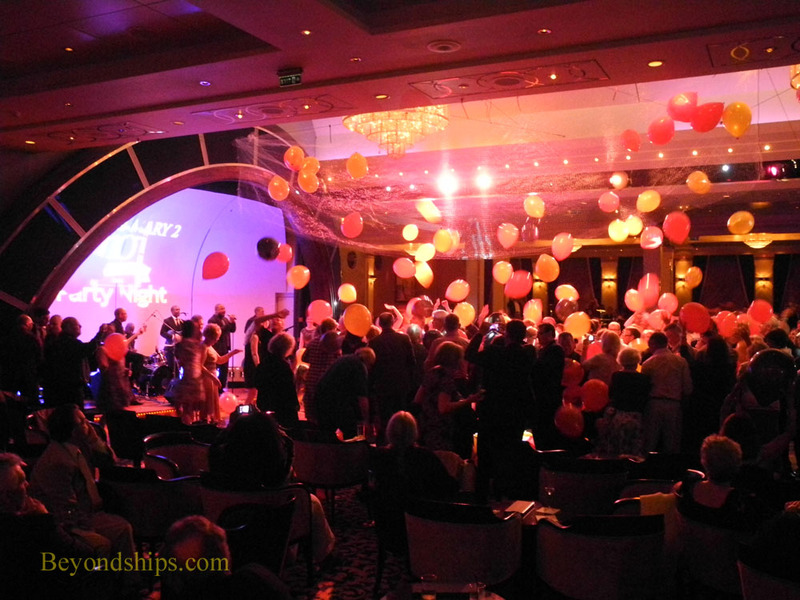 The anniversary celebration continued during Queen Mary 2's subsequent transatlantic crossing to New York. 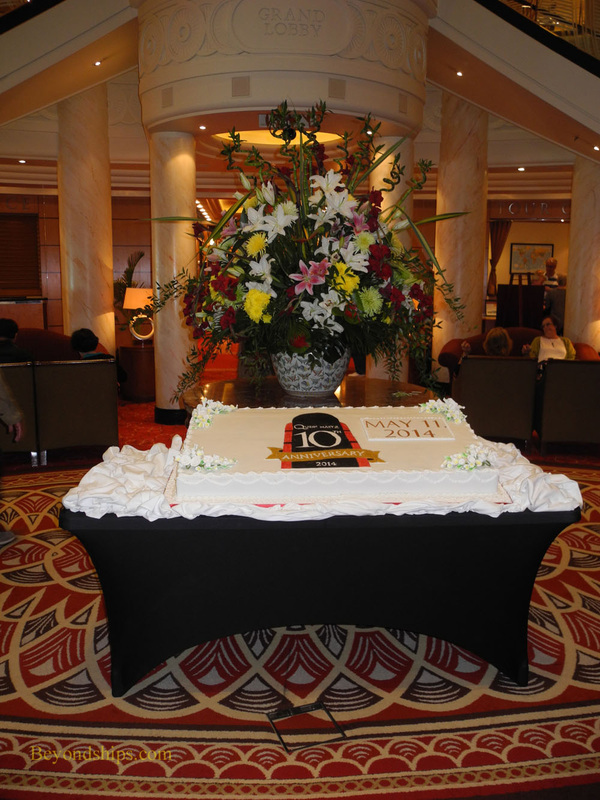 A large birthday cake was on display in the ship's lobby and a birthday party, complete with a balloon drop and a singing of "Happy Birthday" was held in QM2's ballroom The Queens Room. 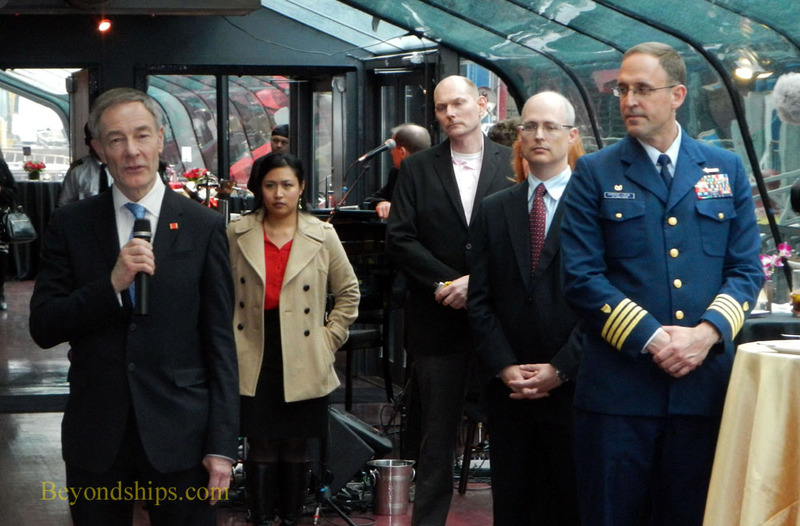 The onboard enrichment program was also linked to QM2's 10th anniversary. 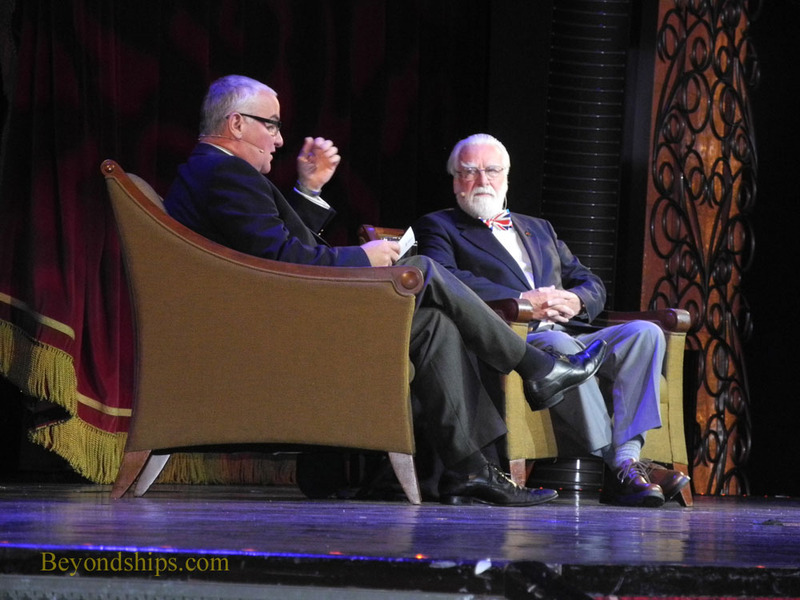 Commodore Ronald Warwick, the first master of Queen Mary 2 was interviewed by Entertainment Director Paul O'Loughlin and gave a talk on his career at sea (left). 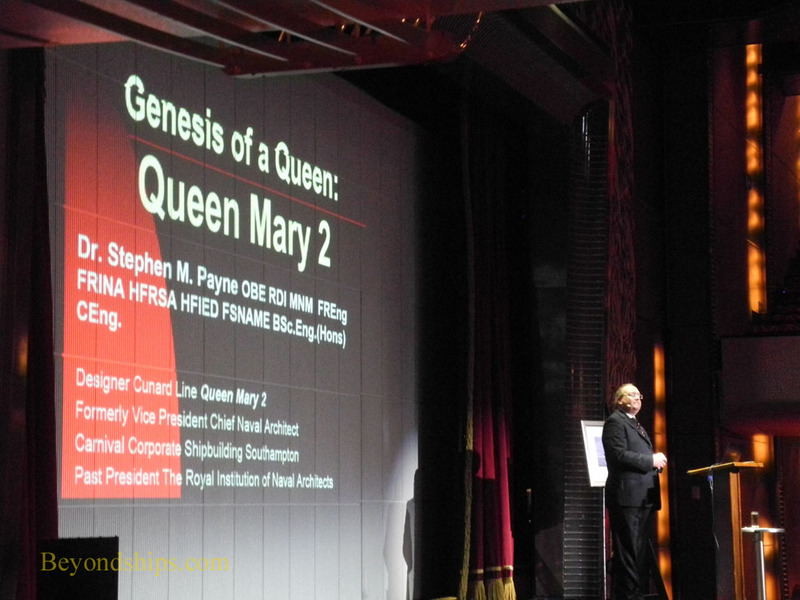 The naval architect who designed Queen Mary 2, Dr. Stephen Payne gave a series of lectures (below left). Guests also received a complimentary copy of Dr. Payne's book on Queen Mary 2. Ms. Maureen Ryan spoke about her fascinating career working on Cunard's original queens, Queen Mary and Queen Elizabeth, Queen Elizabeth 2, and Queen Mary 2 (below). Click here to return to page one of this photo feature.